Do you clap on Medium or use Yelp or TripAdvisor or any of the rating systems? Do they influence your reading habits or purchases? What if we were to institute ratings for volunteer organizations? “Yipes, are you nuts,” comes to mind. But, in reading Jayne Cravens’ excellent post, Volunteers should be talking about their experience online, on volunteers and social media experience sharing, it reminded me of something I posted a few years back. In my post entitled, Of Tires, Stars and Volunteer Organizations, I argued that we should adopt a sort of Michelin Star rating system for volunteer organizations, one in which a central volunteer agency awards Volunteer Centric Stars based on attaining specific volunteer centric goals. Points of Light already does offer a path to becoming a service enterprise organization through their program. I’d love to see an expansion on that idea, one that has visual impact (stars) and levels of deeper commitment to volunteer engagement so that volunteers, donors and the community can easily see how much effort is placed on volunteerism. Why would that visual make a difference? Well, why do we stop at hotels that have 5 stars, or why do we aspire to eat at a 3 star Michelin restaurant? Because there is accountability involved, whether it is through public rating or through an organization that creates standards. At this point, volunteers have little to go on when choosing a volunteer organization, unless they have been a recipient of services. And with little to no rating system, why should any organization try to do better? Ben owns a small, upscale restaurant. Traffic has been down lately. He thinks, it’s got to be the quality of the food, so he sits down with his chef, Alisha and tells her that the diners are not happy. He sends Alisha to scope out other restaurants in the area so that she can mimic their menu. Alisha dutifully does as Ben asks, but there is no increase in traffic. Frustrated, Ben looks for another chef and replaces Alisha with Jorge. Together, Ben and Jorge revamp the menu. Ben advertises a grand re-opening and for a few short weeks, traffic increases, but it falls to a level that is lower than before the re-opening. Perplexed, Ben finally joins a review site and to his amazement, the overwhelming complaints shared by his patrons are the rude wait staff, charging for water and the dirty bathroom. Ben had blamed Alisha and her food for the drop in customers, but it was other areas of his restaurant that drove them away. Ben had forgotten that dining is an experience and that every person and area in his restaurant contributes to that experience. It’s no different with volunteers. 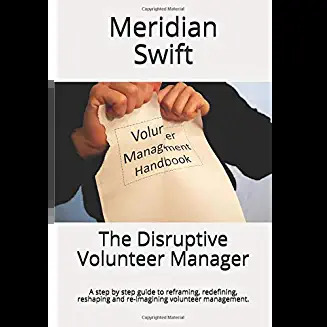 Every person and area in an organization contributes to the volunteer’s experience, including the volunteer manager and other volunteers, ease of getting started, scope of work, etc. The question, then becomes: What would volunteers say? It might be a frightening thought at first. But, how do we fix what we don’t know? How do we back up the idea that keeping volunteers motivated is everyone’s job? How do we illustrate our assertion that volunteers are looking for flexibility, or projects or skills based volunteering opportunities? Until there is a volunteer rating system, if ever, can we just cut and paste one? Yes, we can and do. It’s our surveys or exit interviews, our conversations with volunteers and as Jayne Cravens so brilliantly points out, our monitoring of volunteer comments on social media. At the bottom of the survey, give an option to include the volunteer’s name with the promise that anything that needs to be addressed, will be done in confidence. Follow-up with the volunteer. Indicate on the survey that quotes will be utilized for recruitment purposes. Then, use the positive quotes as testimonials on your recruitment information, even if they are anonymous. Share the positive and negative responses with upper management as an instructive way to show what is working and what is not working. 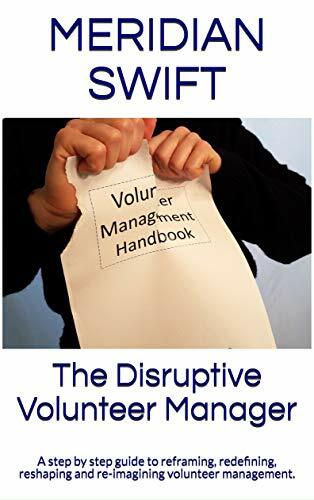 If volunteers indicate that certain departments are not utilizing them or taking too long to contact them, then upper management needs to know that. Prepare a report based on the feedback you receive. Do it in a professional, instructive way, not in an emotional, “see, you guys are mean, and I’m frustrated,” way. Based on feedback, come up with recommendations to fix the negatives such as enhanced training for staff, better software to capture data, a review of jobs and positions, etc. Scour social media sites for any comments on your volunteer program. Add those to your feedback report. Even though there is not yet a Velp or Vichelin Stars, there is still organic rating going on in the form of word of mouth, social media and surveys. Feedback helps us cement the things we know, while we discover the things we don’t know. Think of the ways to use it to your benefit and encourage volunteers to give their feedback. We can preach all we want about the path to meaningful volunteer engagement. But, if we really want things to change, it’s time to back it up with concrete evidence. Oh my days I think this would be a wonderful idea. Unfortunately i suspect that the ratings would mostly be either 1 star or 5 with little in the middle. There are some truly amazing orgs out there who look after their volunteers so well [as an IiV Advisor I see some fab ones] but there are also those who don’t stay in touch with volunteers, offer them no support, expect them to do things paid staff do and never say thank you. Unfortunately volunteers are often shy to share their experiences as I think sometimes they think it’s wrong to share negatives and it’s in some way their fault that they are not treated well! I agree Eileen, I am torn between wanting a rating system and cringing at all the fallout which is why I gravitate towards the awarding of stars (or whatever icon) for organizations who achieve levels of true volunteer centric engagement. The levels would mean real organizational culture shifts so that volunteers are recognized for their contributions, volunteer managers are supported with educational opportunities, and volunteerism is integrated into all aspects of organizational areas. I really prefer that method, although feedback from volunteers can be gathered by the volunteer manager and utilized to support points they are trying to make. Hmmmm, you make an excellent point. How would the rating be “viewed?” Would it be viewed as a popularity game-which is one of the issues with rating anyway, there is evidence that a conformity desire pushes people to “agree” with others instead of honestly giving opinions. If there was a “star” system, then maybe it should be up to the organization to publish it themselves on their brochures instead of a central system publishing it,. But again, there are pitfalls to be sure. Nothing is going to be perfect…..drat.